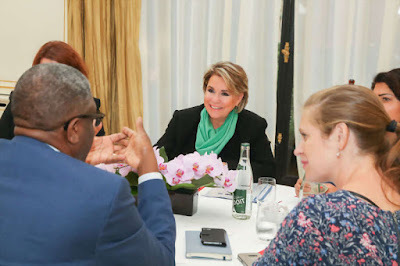 This week, Grand Duchess Maria Teresa participated in a work meeting for #StandSpeakRiseUp with Dr. Denis Mukwege of the Dr. Denis Mukwege Foundation, more on him here, and Céline Bardet of We are not Weapons of War. 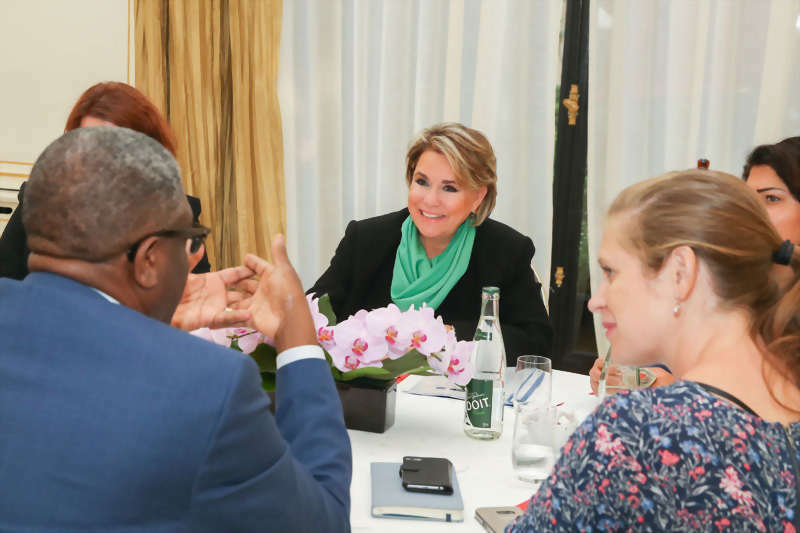 Together with the Fondation du Grand-Duc et de la Grande-Duchesse they will organise a conference in March of next year titled "Stand Speak Rise Up" to end sexual violence in conflict areas. More information and pictures at the cour.